HomeForeclosures and EvictionsTHE PERFECT CRIME? – Stop the Murray Eviction Now! Call and email these people right away and often. 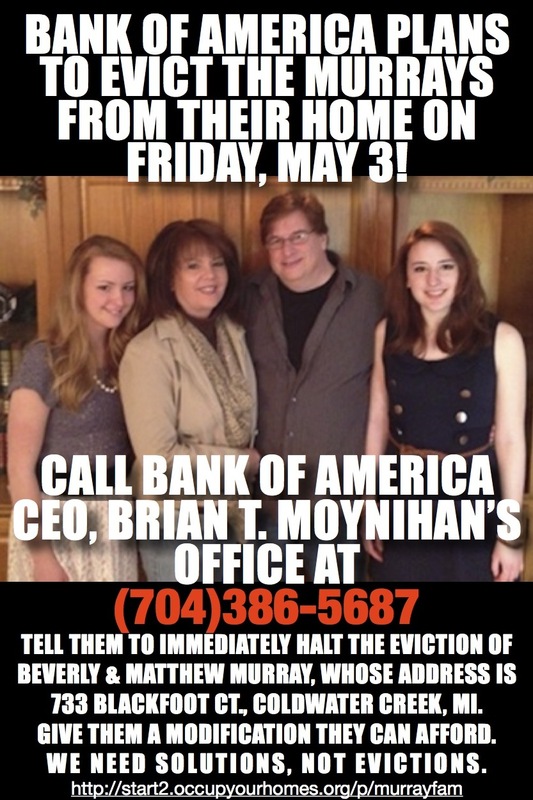 Demand that the eviction be stopped and that Bank of America modify the loan by reducing the principal to current market value. Refer to the Murray’s loan number: 023732976. Sign the petition to stop the Murray family eviction.